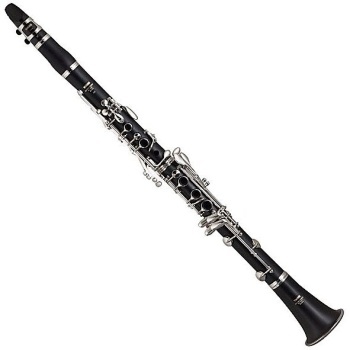 65MM BARREL: The YCL-400AD Advantage wood clarinet incorporates some of the distinct qualities of Yamaha's professional and custom clarinets. One of these features is a 65mm barrel design that produces a focused tone and quick response. Players looking to "step-up" their performance will do just that with this instrument. BELL DESIGN: Nothing can be more frustrating than a soft sounding, out of tune instrument. A New resonance chamber in the bell of the YCL-400AD aids in projection and improves intonation in lower notes, allowing for consistency and confidence. "BLUE" STEEL SPRING MATERIAL: Part of making the YCL-400AD "feel" better is the upgrade in spring material. Blue steel springs give the keys a lighter touch and feel while producing a smooth, quick action. SCULPTURED, NICKEL-PLATED KEYS: The nickel-plated keys provide a more clear and focused tone. Also, the nickel-plated keys of the YCL-400AD provide a good alternative for people who have an allergic reaction to silver-plating. In order to make the keys to the appropriate strength level, a technique called power forging is used. The results of this hi-tech process are keys that are exceptionally durable and contoured to the best possible ergonomic shape. STRAIGHT TONE HOLES WITH TAPERED UNDERCUT: Straight tone holes with tapered undercuts provide outstanding intonation and response making the YCL-400AD play like a pro-model instrument.